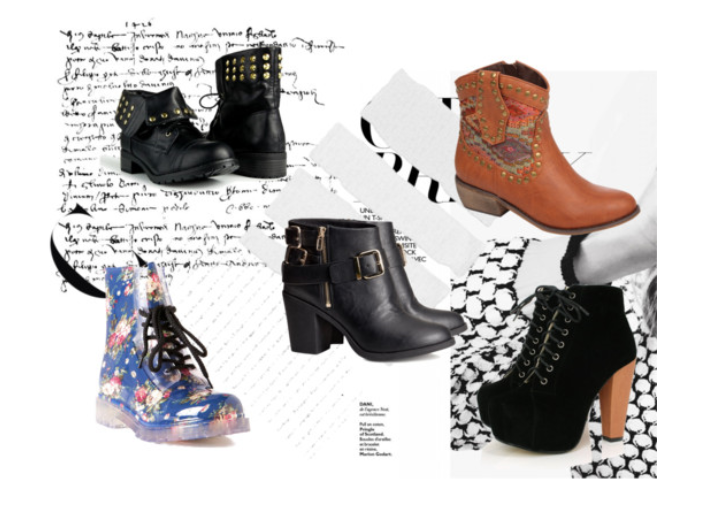 5 pairs of boots to rock this Autumn/Winter! Let’s talk boots, again! I’m not quite sure what it is this year with myself and boots but I just can’t get enough, so I decided to find five awesome pairs that you can grab for under £35! Let’s start simple. The first pair of boots that I chose are these studded cuff military boots which can be yours for around £17($27) bargain! This particular pair would be my go to pair this a/w. A simple black boot with a pop of personality with it’s gold studded cuff which you can wear up or down, depending on how you feel that day! This next pair I blogged about here in a wish list. Coming in at £29.99 at H’n’M they’re top of my list of “things to order to my mum’s house”(living overseas isn’t great). I really think they’re perfect daytime and night time wear and I can’t wait to get my paws on them! Wellies, who doesn’t love a good ol’ pair of wellies! I particularly love this pair because they’re quite unique! Not only do they have a vintage floral pattern going on, but they’ve got laces! Laces, on wellies! Who’d have thought aye? So if you live in a wetter part of the world and are looking for some cute boots that’ll keep your feet dry, these are the babies you’ve been looking for! Lastly, but certainly not least are these Jeffrey Campbell imitation block heel platform boots! These will set you back just £29.95. Throw these on with a pair of skinny jeans and a fancy little number for your top half on a Friday night and you’re set! I think these are probably my favourite of the five, just overtaking the H’n’M ankle boots. 8 replies to 5 pairs of boots to rock this Autumn/Winter! Wow, these boots are quite awesome and very unexpensive!! oooh love those H&M ones!